Honouliuli Women’s Internment Camp, 4/10/1943. Spearheaded by the Japanese Cultural Center of Hawai‘i (JCCH), The Untold Story project was launched to help preserve the history of internment in Hawai‘i during World War II. 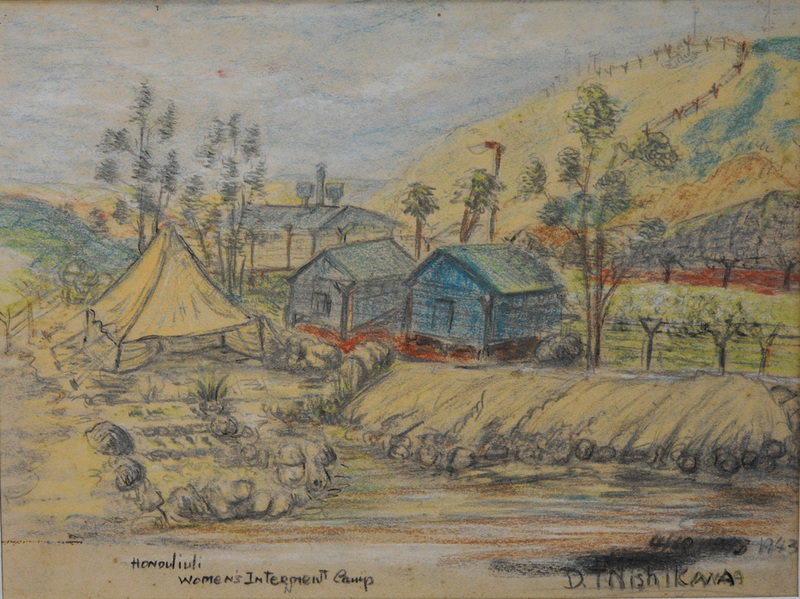 Along with providing educators across Hawai‘i with comprehensive course material about this often misunderstood time in history, the JCCH has collected photos, letters, poems, paintings, diaries, government documents and oral histories from internees and others to share with students and the general public. The overall mission of JCCH is to share the history, heritage and culture of the evolving Japanese American experience in Hawai‘i. 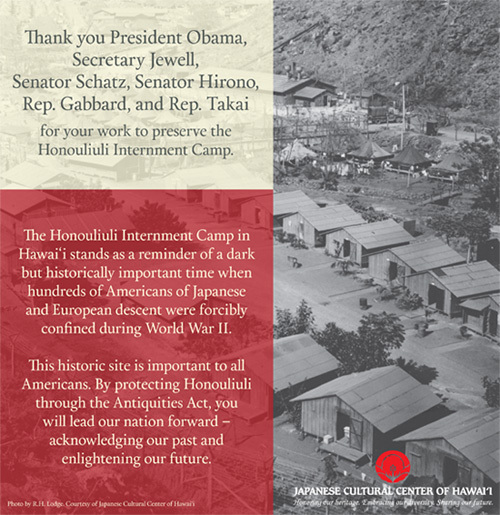 Along with providing educators with comprehensive, accurate course material of internment in Hawai‘i, one of the organization's longterm goals is to preserve and memorialize internment camp sites on all the islands, making it possible for students to take field trips to the sites. The hope is to turn the Honouliuli Gulch into a public historical park, where internee stories can be shared with future generations. Thank you for visiting our site and learning more about stories told and untold from this pivotal era in our history. Hawaii Baseball Team at Fort Missoula Internment Camp, Montana, 1943. Sand Island Internment Camp, flooded by rain, ca. 1942. Sand Island Internment Camp tents, ca. 1941-42.